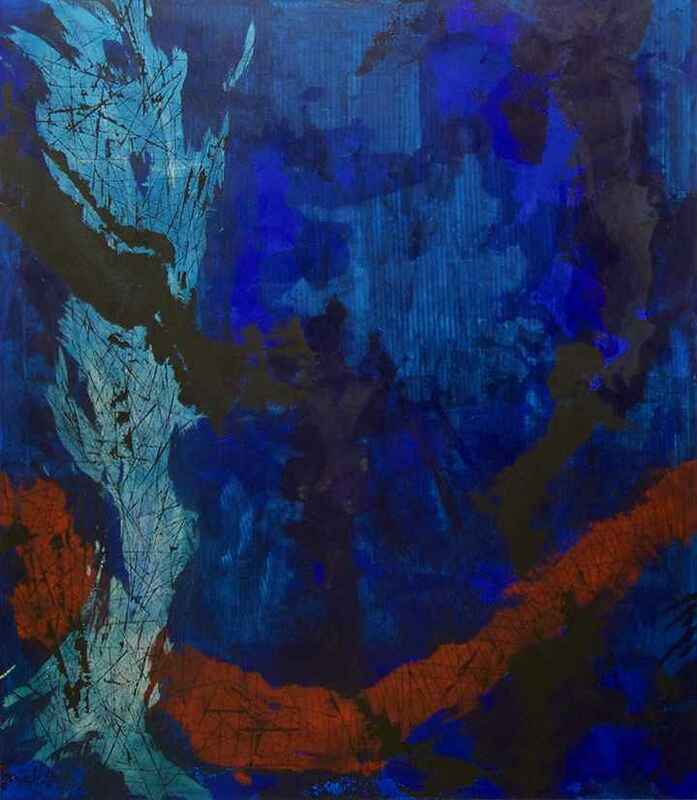 Glenn Ostergaard’s works on canvas feature a sense of intuitive patterning; his surfaces, texturized with carefully orchestrated marking, create a sense of staccato rhythm backed by swaths of rich color. At other moments, dense areas of coloration come to the fore, lending Ostergaard’s body of paintings a sumptuous, push-pull musicality. The artist’s refined line work and visual choreography echo the elegance of his sculptural forms. Ostergaard’s improbably stacked pillows present a luxurious interplay of space and texture, and his mastery of the water-based resin medium is evident in these sculptures’ supple, inflated quality. The pillow forms, configured into dynamic, teetering sculptures, miraculously retain a sense of buoyant delicacy—a feat of design that has become Ostergaard’s signature. Born and raised just outside of New York City, Ostergaard was exposed to the world of art at an early age and went on to study painting and art history at Montclair State University. Since 1990, Ostergaard has lived in the Palm Springs, CA area and has traveled extensively, continuing to develop his expressive vocabulary in his unique paintings and sculpture. Ostergaard and his husband, David Kaplan, are benefactors of the Kaplan-Ostergaard Glass Center at the Palm Springs Art Museum, where they also serve as guest curators.